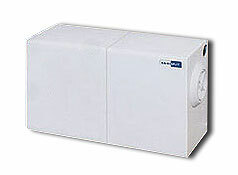 SANISPLIT K3 is a macerator box only for clear waters. It discharges water from all bathroom and kitchen items except the WC. There is an inspection plug, fixed by a clip, on the front of the appliance. Connection of the outlet and the bathroom and kitchen items is the same as for TYPE 1-2-3.